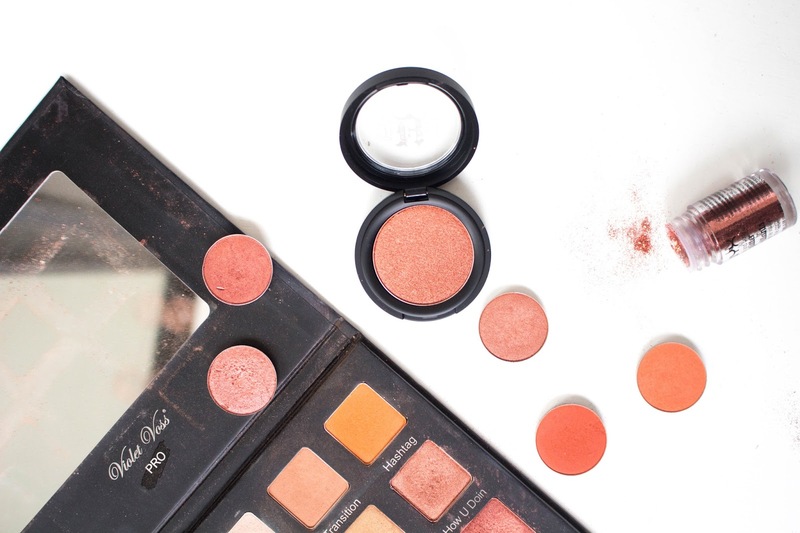 My favourite orange shadows include a variety from NYX which sadly have no name. Coppering from MAC Cosmetics which I’ve loved for around two years! Hashtag from the Violet Voss Holy Grail Eyeshadow Palette, is new to my collection but since I’ve had this palette it is the only palette I’ve been using. I love putting Hashtag through my crease wi give my eyes a pop of colour. I’ve also invested in some NYX Face and Body Glitters, This is 04 Copper, I love using this to create a halo eye effect. Last is something brand new to my collection which I picked up in New York and this is Doce from Kat Von D, I can’t wait to use this all over my lid for a dramatic glamour grunge look. Next I have another sad no name NYX shadow! (Sorry). 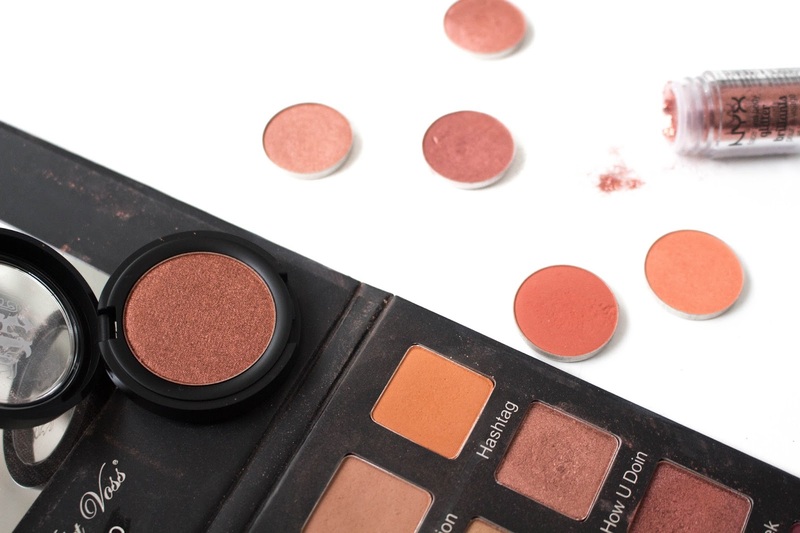 Along with Bitten From Makeup Geek, this tone of red is brilliant as it is very versatile when matching other shades from orange, reds and browns. I then have the bottom half of my Violet Voka Holy Grail Eyeshadow Palette which includes shades; Cranberry Splash, So Jelly, On Fleek and Wine N Dine (Nothing is like this shade its so unique). 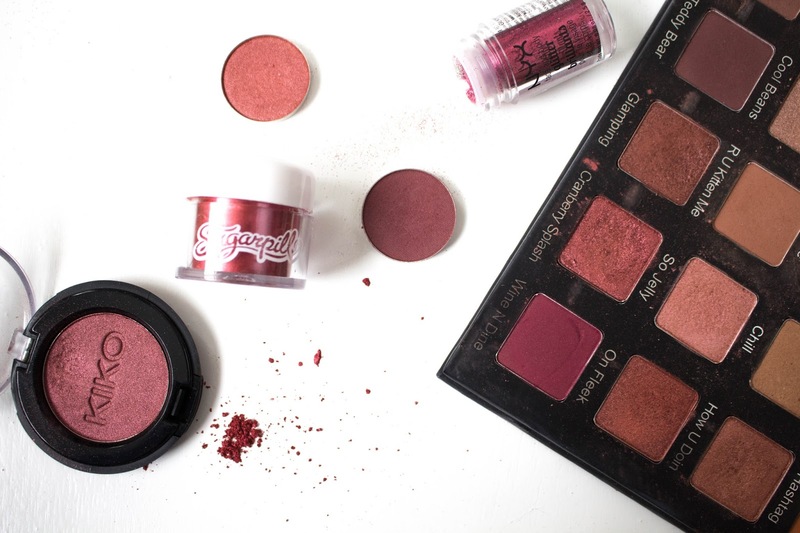 I then have an old Kiko Shadow in 137 which is the shade which got me into reds. Another NYX Face and Body Glitter in 09 Red which I can’t wait to use to create a Lady GaGa look. 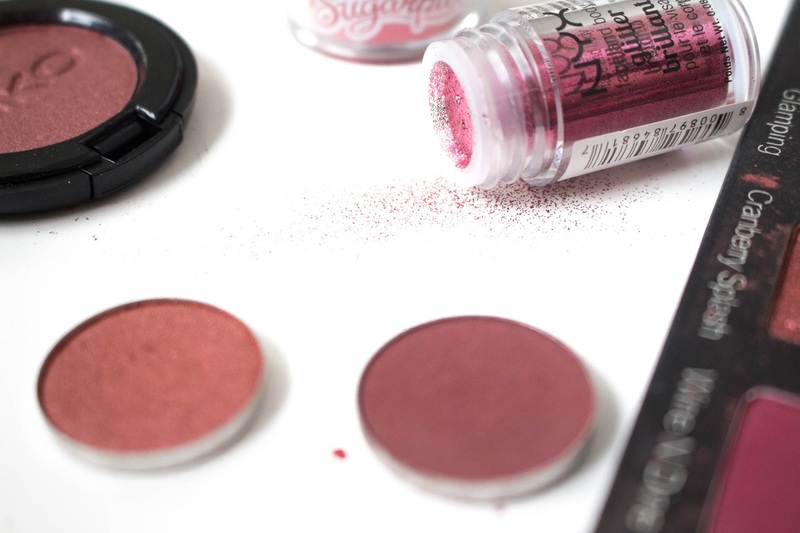 An incredible Sugar Pill loose pigment in the shade Asylum which i think I’m most excited to try out, out of the new makeup I bought because its just an incredible iridescent red which a golden pink tone through it.